We know that moving home follows close on the heels of divorce and the loss of a loved one as one of life's most stressful events. So why not share the stress of moving house with those that are equipped to help? At BG Removals our family-run removals firm, we understand that moving your home, office or even moving an awkward item can be a nightmare. We also know that it doesn't have to be. Our friendly removals men and affordable, flexible moving services aim to keep your house removals exciting with as little work on your part as possible. Here at We Will Deliver 4 U, we understand how stressful moving can be. We can ensure that this time when you move, you'll have nothing to worry about. From storing your extra things to getting you to your new place, we'll take care of everything. 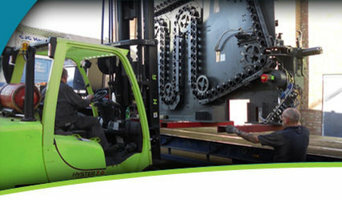 Emcon Services are a local and professional machinery movers and installation company. Trading since 2001, Emcon have gone from strength to strength and can provide a complete service where necessary. At Bass Removals we have developed a different approach compared to other companies in the area, We do this by believing our staff are the ones who actually make the difference. This has always been the key to our success. We are proud in that we have a collective of highly experienced removal staff. They deliver a service that is second to none. We have the expertise to handle everything from fine art, moving abroad, storage, full size grand pianos, a full range of packing services, office removals. We are also asset clearance specialists providing a cost effect green solution to clear all your unwanted assets. We run one of the most modern fleet of removal vehicles in Derby that are both smart and highly maintained. Everything we operate is Euro 5 and above. We have re invested constantly into new vehicles and that shows as we have one of the newest fleets in Derbyshire. O'Connor & Co offer a professional removals service with a focus on customer care and service. We are proud of our 5 star reviews and accreditations. Whether you are moving house locally, nationally or internationally get in touch for a free no obligation quotation. 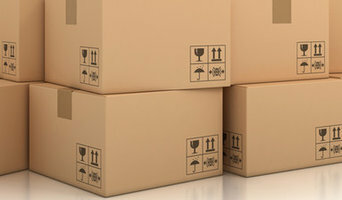 We have a range of moving packages to suit all budgets and requirements and can tailor these to your exact requirements. We are fully insured for all risks and use high quality protective covers. 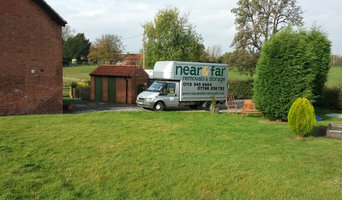 Looking for an exceptional and affordable house removal service in Leicestershire? 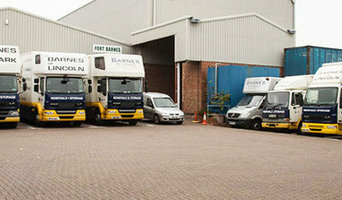 Than Fosters Removals Loughborough is the name for you. We are a removals company based in the East Midlands, providing a wide range of services at an affordable price. We offer a professional, friendly and personal process for the all our clients. With our quality service they make the moving process stress free, providing you with piece of mind every step of the way. We are very passionate about what we do, and love to go the extra mile for our clients. To know more about our services you can visit our website. We are a professional removal company with vast experience of moving people both locally and nationwide. We have the correct staff, vehicles and knowledge to provide a first class service that is second to none. We are based in the centre of the UK so are the perfect choice for removals to Cornwall the South East or removals to Scotland. All our crew members are uniformed, experienced and trained in furniture handling techniques. Most of our work comes from word of mouth recommendations, which gives you the extra peace of mind of our outstanding reputation! Loxley’s The removal company is a family run business offering a unique personal service in both domestic and commercial removals. Loxley's Removals understand that every move is different and specialise in meeting each individual moves specific needs with confidence. Moving house can be a very stressful experience and our team understand this. We ensure your moving day is stress-free allowing you to enjoy the experience of moving home. Why should I hire Nottingham, Nottinghamshire removal companies? Some house removals will involve total house clearance work – perhaps you’re stripping bare your old place and redoing it before selling it on? Or if you only need a few large items moved, there are lots of removal companies in Nottingham, Nottinghamshire that will be happy to offer furniture removal, and may even be willing to take items to the tip for you if you’ve decided to get rid of them. If you find a reliable man with a van in Nottingham, Nottinghamshire, he may be able to accommodate you throughout your whole move – helping you with house clearance, taking items to the tip, to storage containers, to salvage yards and finally helping to move everything into your new place. A Nottingham, Nottinghamshire man with a van service is often a bit more flexible than a removals company, so consider individual movers as well as large firms when you move. If you’re moving at the same time as carrying out renovations, you may need to liaise with your other contractors as well as Nottingham, Nottinghamshire removal companies to make sure the move and house clearance can go as seamlessly as possible. Here are some related professionals and vendors to complement the work of removal companies: . Find removal companies on Houzz. Narrow your search in the Professionals section of the website to Nottingham, Nottinghamshire removal companies and man with a van services. You can also look through Nottingham, Nottinghamshire photos to find examples of house clearances and moves, then contact the professional who worked on them.